Like I said in my first post, preparation is key with Whole30. You want to have lots of meals planned out and maybe some made ahead of time for those crazy nights you don’t want to cook. Keep this simple! Read and get educated – This is most important. How can you make changes in your diet and lifestyle unless you know why you should and what changes to make hehe!? If you don’t want to spend time reading their book, I don’t think you necessarily have to. You can find the program guidelines on their website. I liked reading the book because they explain the science behind how your body processes food (in a very simple way) and that really made me want to change my diet. 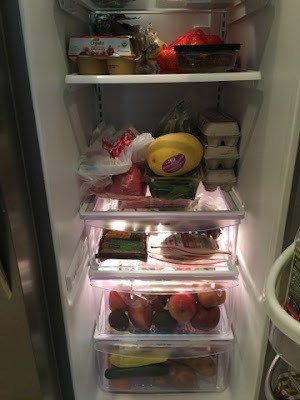 Clean out the pantry – Once you have the knowledge, clean out that pantry! Just throw away the junk you know your body doesn’t need anymore. There are some things that I know we can probably have after the 30 days that are “clean” but maybe not “Whole30 approved” so I just put those in the corner for now, but a lot of things just got tossed and I’m not looking back! Purging is good for the soul! Especially when you do it on January 1 haha!! 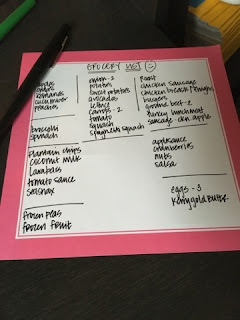 Create Meal Plans – Every where I turned, people kept saying, “Write a meal plan!” So I sat down and looked through my Whole30 Guide, Pinterest, Practical Paleo and Against All Grain- Meals Made Simple and wrote out the first week of meals. (This will be in my next post.) Here are some Meal Plans from other bloggers and Two Whole30 Day by Day Meal Plans in case you are interested. The Can I have Guide from Whole30 was a HUGE help in planning out what we would eat for the week. Once I had a good idea of what we wanted to eat and what Jacob wanted to take to work, I made our grocery list. Go shopping! – I’m one of those people that organizes my grocery lists according to where items are in the store, so as I’m walking through the different sections I can just follow the order of my list. I sent one like this with my hubby once and he was like that was actually really easy haha! 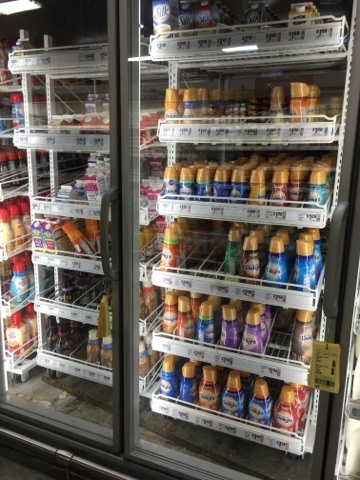 One thing my cousin’s wife suggested when shopping is to focus on the perimeter of the grocery store and avoid the aisles as much as possible. When I made my list for next week after I wrote our meal plan, I was kind of shocked at how much shorter those middle sections were. I’m interested to see how the bills will compare! I know we will be saving money by not eating out, so we can afford to buy more produce and meat! Listed below is the order that Whole30 suggests how you should shop. When planning your list, think about your plans for the upcoming month… are there any situations you might need to prepare for? Dinners out or travel plans? I’m ready! 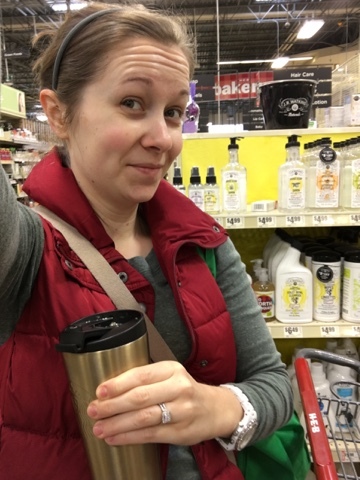 Coffee in hand, kids at home, and inconspicuous selfie in HEB! Got home and got organized. This was a great time to clean out the fridge! Get rid of the scale – take measurements and a before photo but don’t weigh yourself every day. A big part of this program is getting rid of negative body images that are number dependent. They really want you to focus on how you feel. Whole30 Downloads – Grocery lists, meal templates, products that are ok and products to rule out and more. I linked a few below, there are still a few more on their site as well as specialty guides for other dietary needs. 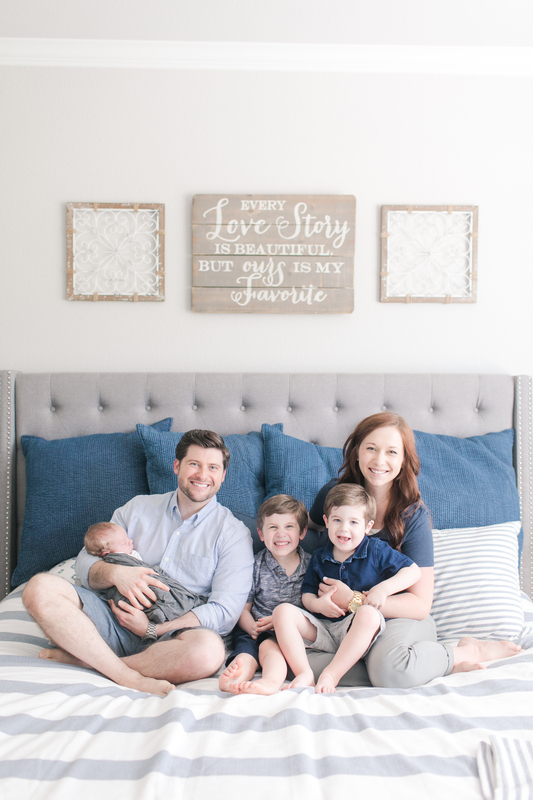 I hope this can help you get ready for Whole30 if you are interested in pursuing this too! It has actually been fun writing what meals we want to eat, making a list and then going shopping! 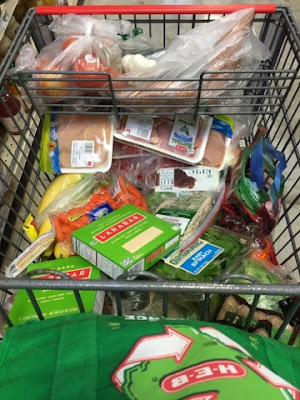 I loved how full my cart was of good food for us! 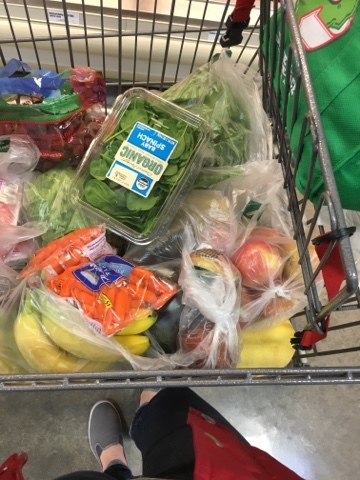 Yes, it may have included fruit snacks for the toddler, he’s definitely not giving those up for a month, but I felt so good about the other decisions I was making for my family. Happy shopping and organizing peeps! Haha, I am so glad! That is my goal usually, to get some laughs!! 🙂 Glad you enjoyed the post!